Sydney's Fashion Diary: CLOSED - Win a $30.00 gift code to Stella & Dot! CLOSED - Win a $30.00 gift code to Stella & Dot! Congrats to all! Please contact me to claim your prize! I hope you are not tired of giveaways yet because I've got one more for you before this month ends! You might have heard of Stella & Dot. It is a boutique-style jewelry and accessories line available exclusively through independent stylists and online. Dana who is an independent stylist of Stella & Dot kindly sent me this gorgeous Charlotte Charm Necklace. One thing I noticed right away is that the necklace is extremely well made. I tried to bend the flower petals on the charm but I couldn’t. No jokes! The necklace turned out more elegant in real life than it appears on the site. It comes with three beautiful charms: a handset pave ball, faux pearl with a pave petal cap, and flower with textured petals and faux pearl center. All charms are removable. You can wear them together or individually. This week’s giveaway is for a $30.00 gift code to Stella & Dot. Thanks Dana for sponsoring this giveaway! This gift code can only be used at her e-boutique. 1. This giveaway opens to US and Canadian readers only. You must be a public follower of PetiteLittleGirl.com to enter. Click here to follow if you haven't. Please enter your follower ID in the box below. 2. Visit Dana's site and leave a comment below letting me know your favorite item. To be fair with everyone, I will verify all entries. Winner will be chosen on Tuesday 08.02.
i love the Contessa Jade Necklace. thanks Sydney! My favorite item is the Bamboleo Necklace. Thanks for the awesome giveaway! Omg I have way too many fav but the one piece that I'm eyeing is the la coco curchain in gold. There were some real pretty items, but my favorite is the 'Ever After Necklace.' Thanks! Love the Rio chandelier earrings! I love the Chantilly Lace Chandelier earrings. My favorite item is definitely the Colette Necklace in Silver. The pyramid double wrap bracelet in green would go with all my casual outfits! I love the Soiree Studs! Could always use a great pair of stud earrings :) Thanks for the giveaway Sydney and Dana! Loving the together forever necklace! I love the Amelia Drop Earrings! 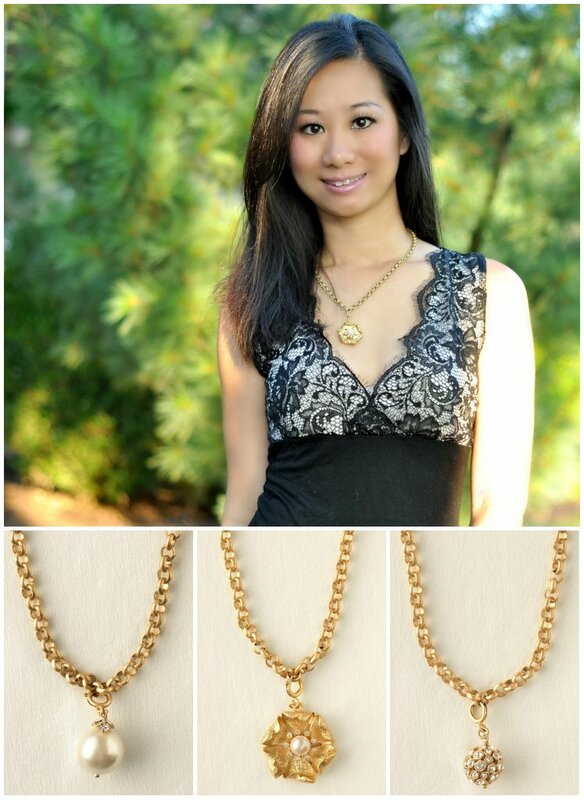 My favorite item is the Medina Bib necklace! My favorite is the Chantilly Lace Cuff. Thank you Sydney and Dana! I won't be greedy and enter since I've done a giveaway with Heather @StellaDot but just wanted to show my support:) You are the queen of giveaways Sydney! Loving the Alexa Fringe Necklace. Love the River Lariat! It's gorgeous. I love the CAMILLA RING! Thank you for hosting this giveaway. The one that caught my eye is the Chantilly Lace Cuff. The one you're wearing looks so delicate - so you. Is the dress you're wearing a recent find? I love the devi bangles. So pretty! my fav is the On the Mark Necklace, so delicate and girly! My favorite would be the Camilla Ring! So pretty! i love the Contessa Jade Necklace! My favorite is the Renegade Cluster Bracelet! Thanks for the giveaway!! The Pave Ellipse necklace is my favorite. The threaded turquoise is my favorite. Thanks for such great giveaways.